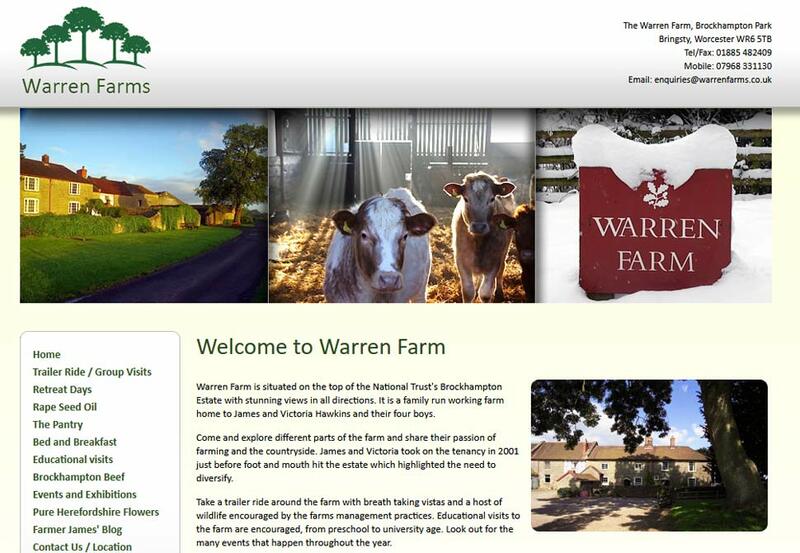 Warren Farm is situated on the top of the National Trust's Brockhampton Estate with stunning views in all directions. It is a family run working farm home to James and Victoria Hawkins and their four boys. Come and explore different parts of the farm and share their passion of farming and the countryside. James and Victoria took on the tenancy in 2001 just before foot and mouth hit the estate which highlighted the need to diversify.